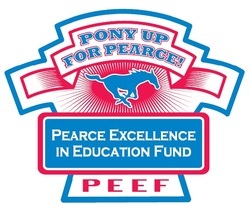 For the 2016-17 school year, Pearce teachers and administration requested approximately $70,000 from PEEF to pay for programs, classroom materials, fees and field trips - things that our students and parents expect, but aren't covered in the school's budget. With PEEF's funding, our teachers are able to provided necessary technology and materials to their students, and continue their education to bring new ideas and programs to our children. Unfortunately, we cannot fund all of these requests. Based on last year's fundraising, we will be able to support approximately $36,000 of these requests. We are hoping to get your help to fund even more next year.